Collin County has a lot of new home subdivisions throughout Frisco, Allan, and Plano but there are also some historical homes that are getting a little bit of love these days. If the new home craze doesn’t appeal to you, you might be looking for an older home that already broken, so to speak. There are beautiful homes and homes that need a little bit of love and finding the right home takes a little bit of know-how. 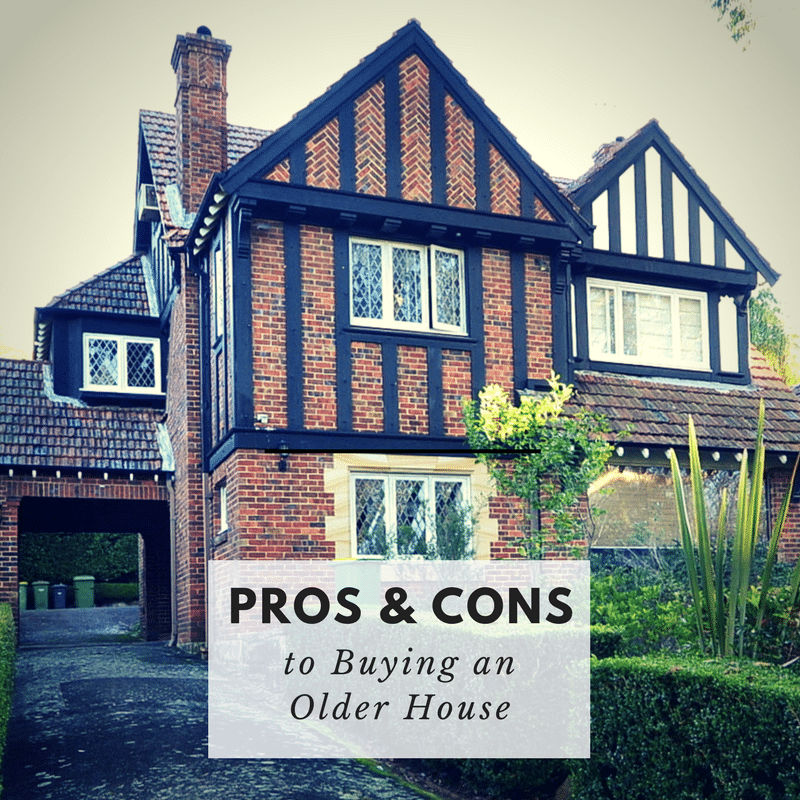 I don’t want anybody to be scared of buying an older home because by now, a lot of the kinks have been worked out but there are pros and cons to buying an older home. Location. One of the biggest benefits are positive things about buying an older home could be the location. Older homes often build closer to town making it easier to walk to shops, schools, and restaurants. Cost. Most older homes are less expensive than a lot of the newer homes. Of course, it depends on condition and location but generally speaking, homes of similar size are less expensive than their newer counterpart. Availability. Obviously, if you are buying a brand-new home that isn’t finished yet you can’t move in. Older homes are usually move-in ready unless there are some major hazardous issues that need to be corrected. A long-term investment. Older homes are now getting harder to find, which means they may increase in value over time. It’s important to talk to other people in the neighborhood that may have owned their home for a long time and ask how their homes have increased in value over the last few years. Unique character is hard to buy. A tree-lined street, mature landscaping, large brick fireplaces, and farmhouse kitchens don’t just happen overnight. There’s a lot of people that love heavy woodworking, dark wood floors, and century-old oak trees in the front yard. That’s not something you’re going to get on a brand-new house. Outdated electrical or plumbing. Replacing plumbing with up-to-date materials can be extremely expensive and it may not be worth buying an older home because of this. You want to verify that the home is in compliance with updated building codes and are efficient and safe. Lack of storage. Older homes just don’t have as much storage as some of the newer homes and they usually have smaller rooms, smaller closets, and smaller cupboards. Homeowners insurance. This is something a lot of people overlook but it is a must-have. Older homes do come with more risks and insurance companies don’t like to cover unseen circumstances. It’s important to call around and get quotes from insurance companies on an older home. The last thing you’d want is to move in only to discover that your insurance policy is unaffordable or doesn’t cover everything you wanted to. Related: More reasons to know about homeowner’s insurance in an older home. Your appliances might not fit. Older homes seem to have smaller spaces for everything, not just storage. Older homes were built when household items were much smaller than they are today. You want to measure your appliances versus the space you have to put them in to make sure that they fit.